Pearls are one of, if not the most versatile pieces of jewellery you could ever own. You can wear them anywhere, anytime and with just about anything, from a simple blouse to an extravagant ball gown. They are classic pieces of jewellery that exude elegance and beauty no matter the occasion. And just as there are different occasions where you can wear them, there are also various kinds that differ in shape, origin and value. Some are sourced locally, while others are sourced internationally and sold in Broome, Perth, Sydney and throughout Australia. Whether looking for pearl jewellery online or from a store, you will seldom find natural pieces. 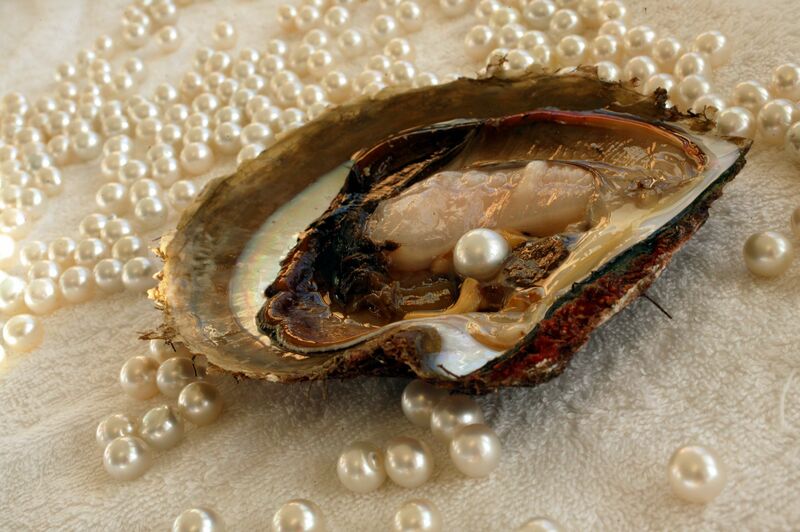 As most pearls nowadays are cultured, it’s very rare to come across truly natural ones. This is due to two factors. First, the possibility of these being produced naturally is very slim. In 10,000 oysters found in a natural environment, only one will produce a pearl that has the right size and shape deemed desirable, and it would take years for one to form naturally. Second, most of the natural pearls in the world have already been harvested, and most of the natural beds have been used up by over-harvesting in the past. Despite these odds, it is still possible to get a hold of these elusive natural pearls. When you do come across one though, make sure it has an official gemological x-ray certificate, which proves its authenticity and indicates its quality. These are produced in oceans by oysters. Among the different types, the South Sea Pearls are the largest, and consequently the most highly sought in the world, with sizes ranging from 9mm to 20mm. They grow inside the Pinctada Maxima, the largest pearl-producing oyster, and they come in different colours: silvery white, cream white and gold with hues of pink, green or blue. Aside from their size, they are considered as the most luxurious because of their thick nacre, satiny lustre, round shape and quality. This is why this type is among the favourites when it comes to using them in pearl and diamond rings. These types of pearls are produced in Australia, Indonesia and the Philippines. The Tahitian or Black South Sea Pearl is another type. They are grown in the Pinctada Margaritifera, a black-lipped pearl oyster. Despite the name, these are not exclusively grown in Tahiti but are also produced in the other islands of French Polynesia. They range from 8mm to 16mm in size and come in grey, blue, purple or green. Akoya Pearls are another type, which are produced by the Akoya or Pinctada Fucata. They are also known as the Mikimoto Pearls, named after the pioneering pearl farmer Kokichi Mikimoto. Famous in Japan, they are also grown in China, Southeast Asia and the Persian Gulf. They come in 6mm to 8mm sizes and are creamy white with pink overtones. They are most famous for their high lustre that gives off an almost mirror-like effect. Grown in rivers, lakes and ponds by mussels, these are the least expensive out of the different types, but they are not the least desirable. Although these are rarely symmetrical and come in a baroque or semi-baroque shape, they are still very durable due to their solid nacre formation. Another great feature of these is that they display a strong orient. Since the 1990s, higher quality types have been produced that can compete with saltwater pearls. Most freshwater pearls are produced in China, while a portion are produced in Japan and the United States. They come in natural colours of white, cream, pink, lavender or orange. Those that are of lower quality though, are dyed. If you find one in black or a chocolate shade, take note that this has undergone colour treatment and is not natural. There is one kind that doesn’t fall under the three categories above, and these are the Keshi Pearls. These are natural bi-products of the Pinctada species. These are formed when an irritant comes across a previously cultured oyster yet they are produced the same way natural ones are produced. They have 100% nacre, come in baroque or unusual shapes and white, black or gold colours. All these types of pearls are produced under different types of environments, but all of them can become a beautiful piece you can keep with you forever. From exquisite, rare natural pearls to less expensive mass-produced freshwater pearls, these can be classic accessories you can easily don to exude elegance at any event. With these, you can own a timeless piece of jewellery you can wear anytime and anywhere. At Jewels of the Kimberley we have a gallery of beautiful pearl necklaces, earrings and engagement rings. Browse through our online collection or come in store today to choose the right one for you.